I came to know about this Koay Teow Th’ng stall from Food Paradise. 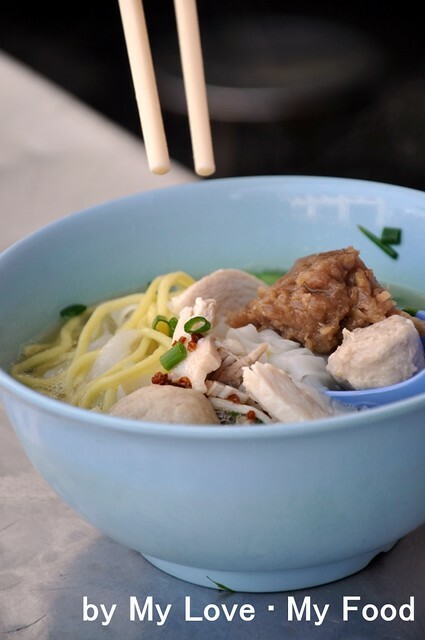 All because this is definitely an unique one to me, cuz, no Koay Teow Th’ng in Penang giving so many meat balls or fish balls too. At least for this, is giving 4 different types of balls and one of those which is my all time favourite too, the Pork Tendon Meat Ball. Not many could take on this because of its aroma, but personally I like it because it has the ginger taste and smell too. And I only find this in Ipoh, it’s hard to find it in Penang, when I came across this, I just can’t help myself for not patronizing them almost every week. In fact, almost every weekend after a hike in Penang Hill, a group of us will sure visit this. Though the surrounding is not as hygiene as you think… but that doesn’t put many people off, some even could just wait there for a vacant table. 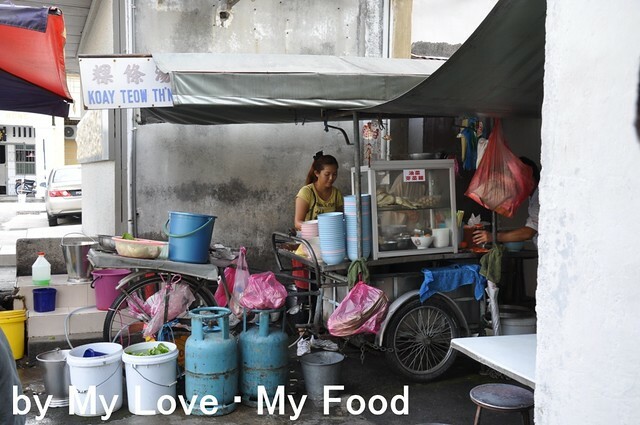 Before I drafted this post, I got to know the history of this stall, and many called this as Ah Boy Koay Teow Th’ng. It was established in year 1977 and it’s now operated by the young chaps and occasionally the old ones will come to help. Soup base is sweet, at least my taste bud tells me that it’s sweet and I believe it is cooked with many ingredients like chicken bones, chicken meats and so on. Having a bowl of Koay Teow Th’ng, you just can’t omit the lard oil, cuz, that basically make the entire bowl of Koay Teow Th’ng a star! Well, at least it blinks your eyes and give you a buzz in your mind before you start off a day. I’ve tried the Koh Loh type (dried type, with dark soya sauce). Still find the soup base is a better choice. I could see some customers will order a plate of chicken and bean sprout. And garnished with some spring onions, and some fried garlic. Hmmmm…. This is making me yearning for a bowl now. The stall is open daily except Tuesday (only got to know last Tuesday, 1st May), and it opens from 7am to 2pm. But lately I could see by 11am to 11.30am… the stall owner is clearing the tables and chairs. So, try your luck! 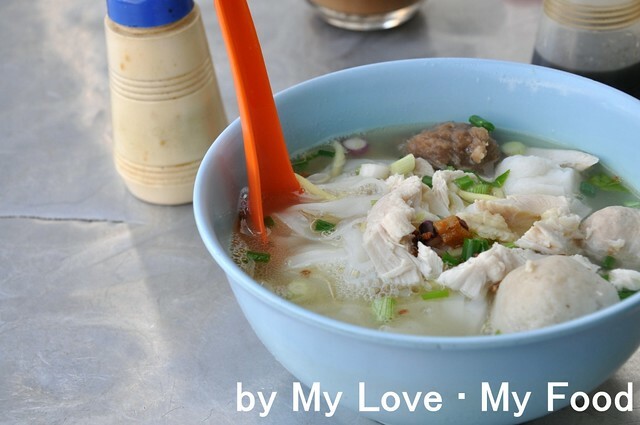 Hi, I’m doing a research about food blog in Penang and listing down food blogger in Penang. I would like to have your personal email and contact number as well if possible. Thank you!